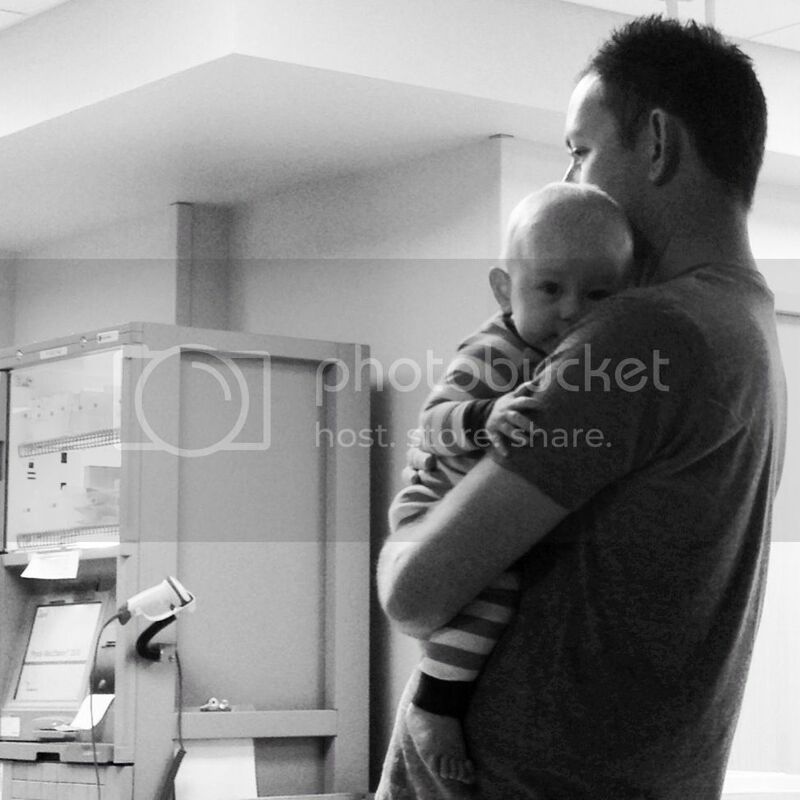 Jordy Liz Blogs: Catching up on August: Liam goes to the hospital. Catching up on August: Liam goes to the hospital. I'm continuing to catch up on August. Read about my birthday weekend here and our first overnight trip here. 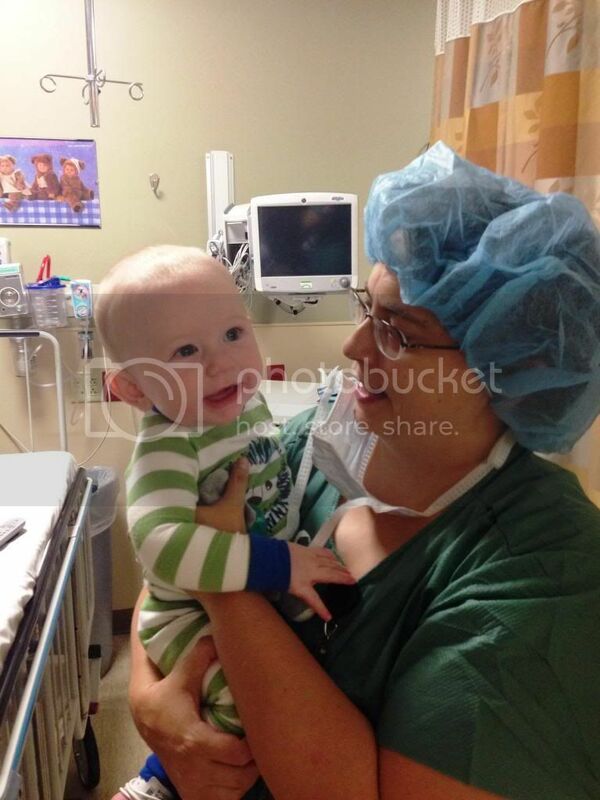 In Liam's first seven months, we've checked off his first minor surgery in the hospital and his first ER visit. Check and check. Never again, please. 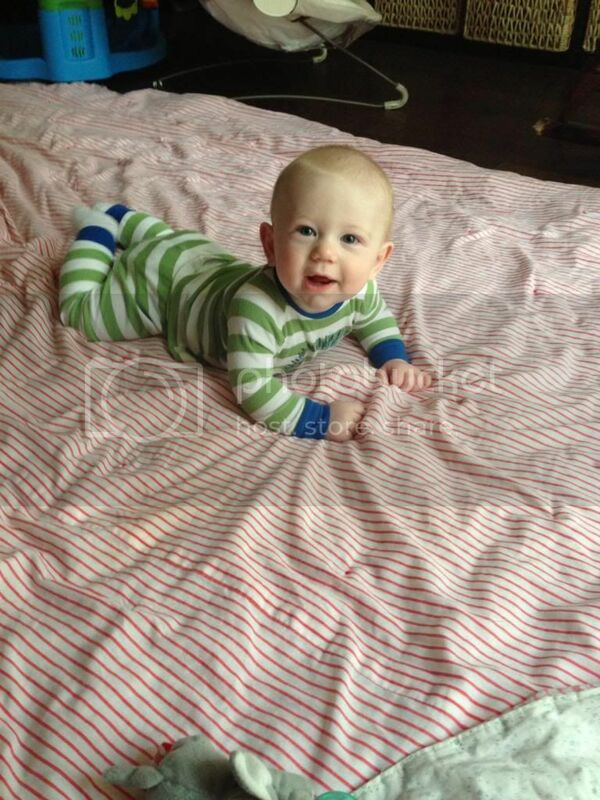 When Liam was born and we were in the hospital those first couple of days, we were informed about a minor, little issue he had that would need surgery to correct it when he turned five months old. So for his first five months, we knew this was coming. The surgery was set for a Monday and we had to check in at 6 a.m. Liam couldn't have food after midnight, which was probably what I worried about the most. The kid is a bottomless pit and don't you dare keep food from him. So at 11:30 p.m. the night before, I sneaked into his room, scooped him up, let him down a full bottle, and then put his still-sleeping body back into bed. Come 5:30 a.m. when it was time to go, his belly was still full and he didn't even know what he was missing. We checked in for the surgery that was scheduled for 8 a.m., so we had a full two hours to spend waiting. They took us back to the pediatric pre-op corner in the back of the room that hosted those waiting for intense surgeries. Because Liam was so young, he had to have the procedure in the hospital, as opposed to an outside clinic. It just made it that much more dramatic. In the two hours of waiting, we held a sleepy Liam while we met with the anesthesiologist, the surgeon, and several nurses, and talked about a spinal tap and anesthesia and medicine options for this little, tiny, baby boy. It was overwhelming, to say the least. But each nurse was kind enough to look us in the eyes, answer any and all of our questions, and reassure us that he was going to be just fine. Soon enough, the sweet nurse took him down a long, dim hall for his thirty-minute procedure. My mom held down the fort in the waiting room, while Chris and I went downstairs to buy over-priced coffee and stale pastries just to keep our minds distracted. We sat in the waiting room watching the news and reading old magazines. 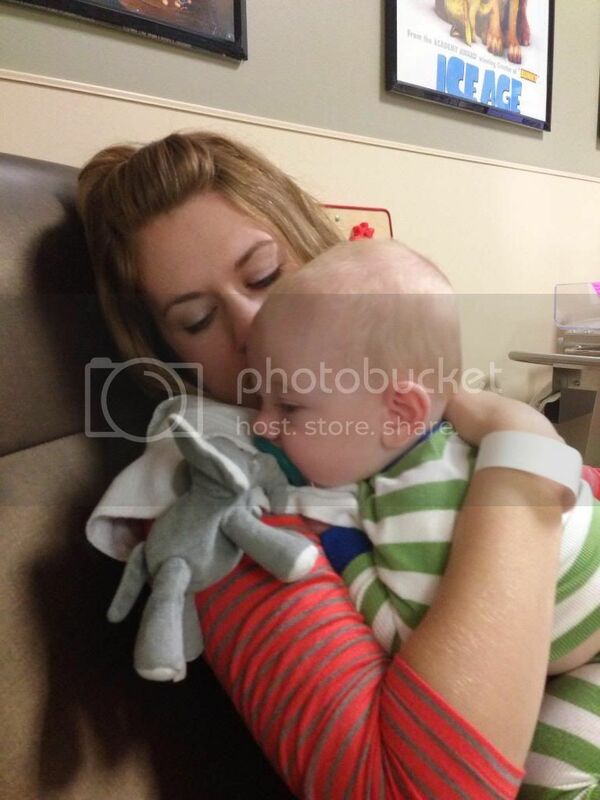 Before we knew it, our doctor came in to tell us the surgery was over and that Liam did so well. I have never felt so relieved. It was over. I went back to hold my sleepy, medicated baby who at this point was starving. He sucked down Pedialite and eventually a bottle, and we changed him back into his pajamas. The recovery was a three-day process that required gauze and medicine and ointment and stuff that I really wanted nothing to do with because if there's one area I am not gifted in, it's blood and medical care and all things related. Since my mom was in town, she was able to give Liam one-on-one care and attention so that Chris and I could go back to work. She handled the post-op procedures during the day while Chris handled them in the evening. And it was just nice to have someone else around that wasn't as worn out or tired or as emotionally drained as we were. But in typical Liam style, he only took a few hours to bounce back. Thankful for minor fixes. Thankful for talented doctors and nurses. Thankful for family who will step in and help. And very, very thankful our baby boy is good to go. SO glad everything went well and he was feeling good afterwards! i'm sure it was much harder on you - i know i'd feel that way! Such a strong and contented little man! So glad to know everything went so well!